When I didn't find the cookies I was hoping Tartine would be selling at Paper Magazine's pop-up Super(Duper)Market event over the weekend, I walked around to find some other dessert options for the week. Thanks to it, we got to taste Allison Kave's First Prize Pies, and now Miette's famous gingersnaps. They are truly delicious; perfect texture and just enough ginger, butter and sugar. I guess they are well known in their hometown San Francisco, and were also Nora Ephron's favorite gingersnaps. 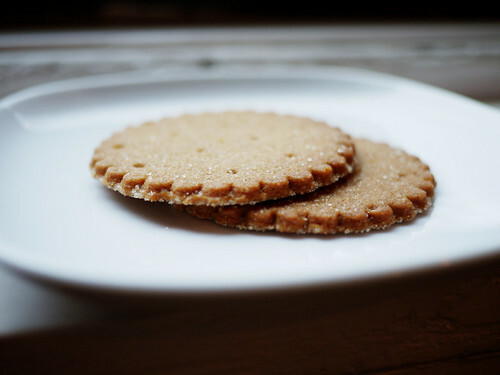 I later learned that they also make graham crackers - that may have to be a mail order!